Configure Survey Settings to choose and use the various features available. Survey setting options in SurveySparrow let’s you edit and set different features available in the settings of your survey. Click on Settings icon, which you can see on the top right corner of the builder page. 2. 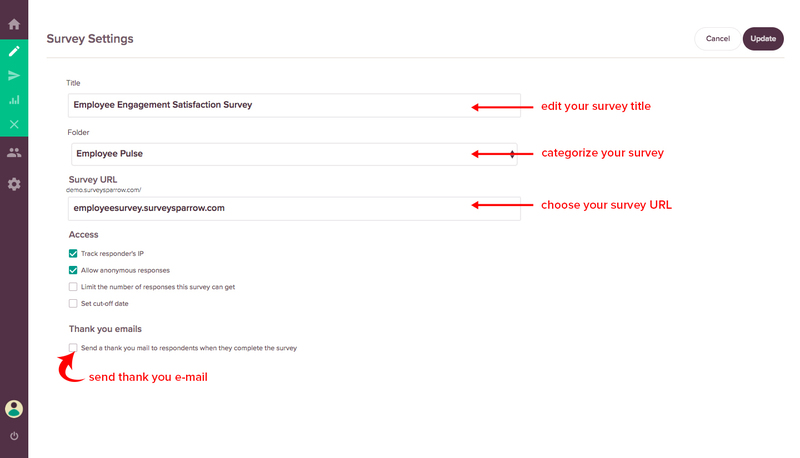 Once you click on the Settings icon, you will be redirected to the Survey Settings page. 1. Edit your survey title under Title. 2. Categorize your survey into desired folders under Folders. 3. Change language preference under Language. 4. Customize or choose your default survey URL under Survey URL. a. Track responders IP (click to track and collect the IP address of your respondents). 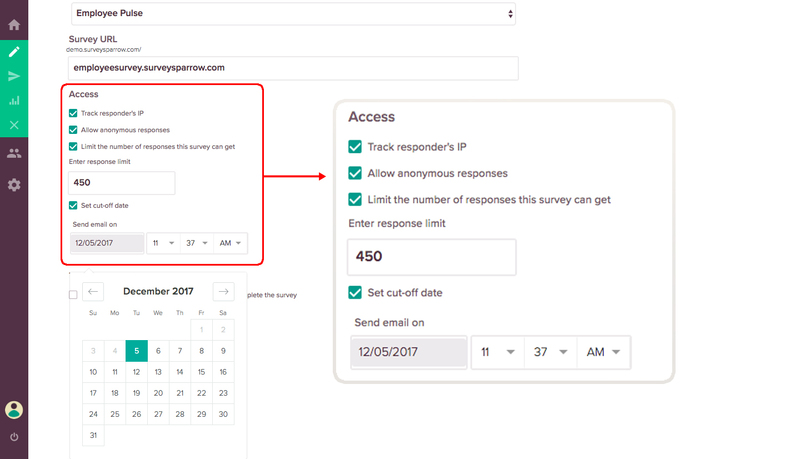 c. Limit the number of responses for your survey (click to set a specific response limit). d. Set Cut-off Date and Time (configure to automatically close collecting responses).